Want more ways to engage your students in the financial aid and scholarship process? 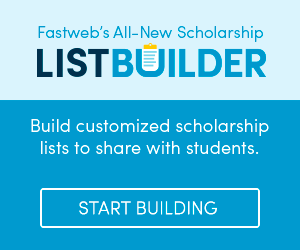 Fastweb for Educators provides free printed materials to distribute to your students, plus key online information on the financial aid process and more. When you become a member, you will automatically be included in our free printed materials program and receive updates from our Educator Member team via email! Click below to join Fastweb for Educators today. To order a packet of 400 printed student handouts for an upcoming student/parent event, email your request to memberservices@fastweb.com. Printed students materials are free for Educators and available while supplies last. Shipping is available in the U.S., Puerto Rico and U.S. Territories only, always allow four weeks for delivery. To download and print materials, visit our Educator resources page.